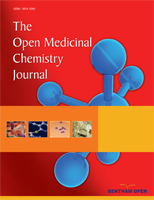 The article discusses the application of vibrational spectroscopy techniques for in vivo identification and characterization of glucose biomolecules monitored in the skin of healthy, prediabetes and diabetes subjects; for molecular characterization of water and proteins in in vivo monitored patch tested inflamed skin of the patients with contact dermatitis; for description of nucleic acids and proteins at the molecular level with progression to malignancy in skin cancerous lesions. The results of the studies show new possibilities to assess activity levels of glucose metabolism in the skin tissue of healthy, prediabetes and diabetes subjects; activity and severity of inflammation; activity of the processes of carcinogenesis with regard to benign, premalignant and malignant transformation. Based on our findings, we suggest that vibrational spectroscopy might be a rapid screening tool with sufficient sensitivity and specificity to identify and characterize skin biomolecules in described diseases for drug targeting and monitoring by the pharmacological community. Keywords: Vibrational spectroscopy, Raman spectroscopy, infrared spectroscopy, skin biomolecules, molecular diagnosis, molecular characterization, skin monitoring, skin cancer, skin inflammation, skin glucose. © Eikje et al. ; Licensee Bentham Open. open-access license: This is an open access article distributed under the terms of the Creative Commons Attribution License (http://creativecommons.org/license/by/2.5/) which permits unrestrictive use, distribution, and reproduction in any medium, provided the original work is properly cited.